Have you ever been a tourist in another country? Or maybe you’ve traveled out of state and ended up in a town you’ve never been to before? If so, you probably understand the importance of visuals you can see and that direct you around. There were most likely times when you found an exciting storefront and decided to explore it because it caught your attention. But there were probably also moments when you never even glanced over to a building because it looked bare, empty or just unappealing. You know firsthand the effect a display like that can have — so don’t let your business suffer the same way! SpeedPro Imaging Norfolk is ready to partner with your business to create eye-catching window graphics instead. We’ll work to transform your storefront into a stunning visual display — completely branded to your business’s needs — bringing in a bigger crowd and potentially leading to higher sales. Let’s get started! Creating a visual experience for customers should be a goal of any business. You want to make sure you provide an experience for your customers that will leave them feeling invited and included instead of confused or misled. The graphics you feature on your storefront window display should be truthful about what lies behind them. Whether you’re showing off particular products you’re promoting or alerting the public to upcoming offers, you want to stay honest. Our bright and vivid inks will do their job in grabbing the attention of anyone walking by and properly representing what you have to offer. Even just supplying your store hours on your windows can make your potential customers more informed and ready to come back. Even though we stress the outer appearance of your building with window graphics, the inside can reflect the same scenarios. 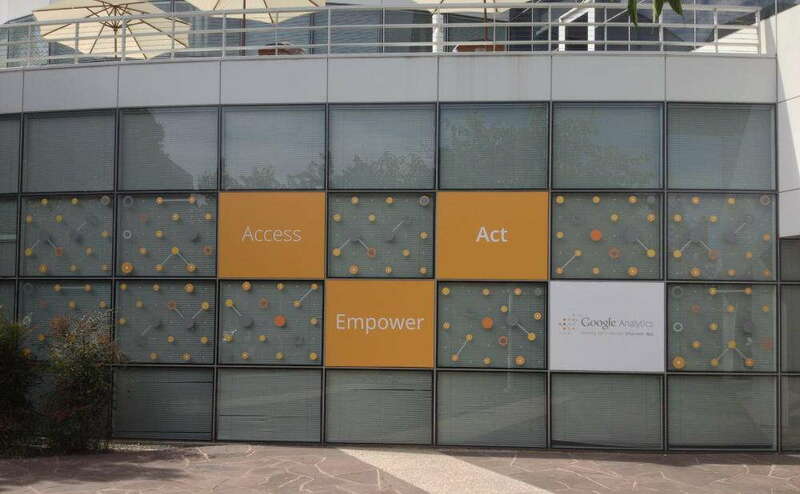 If you have cubicle dividers or glass doors, you can customize these windows with the same graphics used outside. We can use our color-matching technology to make sure the graphics we create closely resemble the already existing graphics inside your building too. Indoor window graphics can transform the atmosphere of an office space, allowing the customer to feel comfortable. Frosted windows create a softer look from the clear glass. 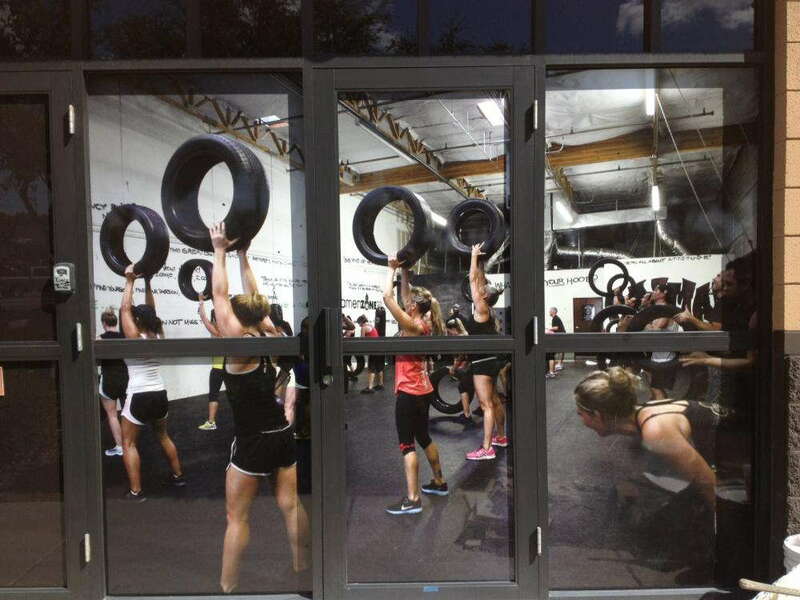 You can use this type of graphic to display a custom-made image or simply draw attention to the window for other graphics displayed. Creating a boldly colored image is easy with perforated window film. Fade-resistant inks can be transferred onto this film, creating the kind of eye-catching graphics that will attract anyone’s attention. This film also helps to block bright sunlight, meaning anyone inside won’t have to worry about being blinded by sunrises or sunsets. Window clings can be either large or small stickers and are the best options for temporary displays. Their ease of assembly and removal makes them the perfect visual for replacing every week or so. Printed on a white or clear background, window clings can enhance your widow by pulling focus onto the vivid inks. Custom window graphics are a fun way to decorate the outside of your building while also building and promoting your brand and business. During our consultation, while discussing your visual requests, we’ll verify which side of the glass you’ll be applying your graphic to. 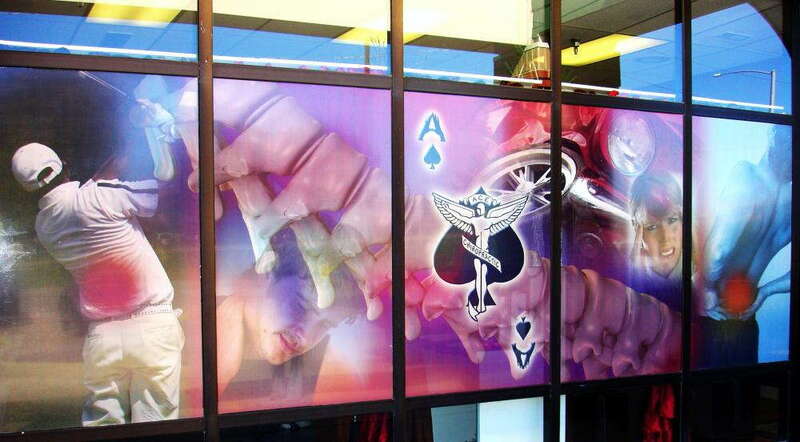 The last thing we want is to provide your business with backward window graphics! If you’d love to redo your windows, contact SpeedPro Imaging Norfolk today, and we’ll get started with our consultation process.